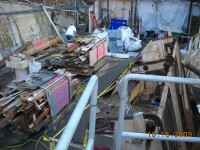 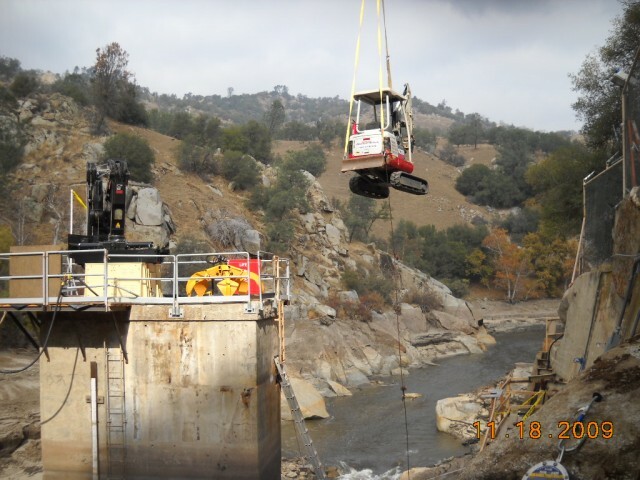 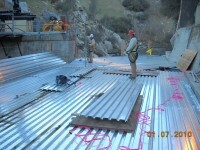 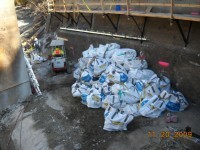 SCE Kern #1 Intake Construction • MCS Construction Inc. 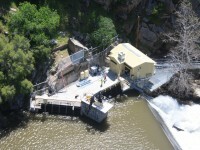 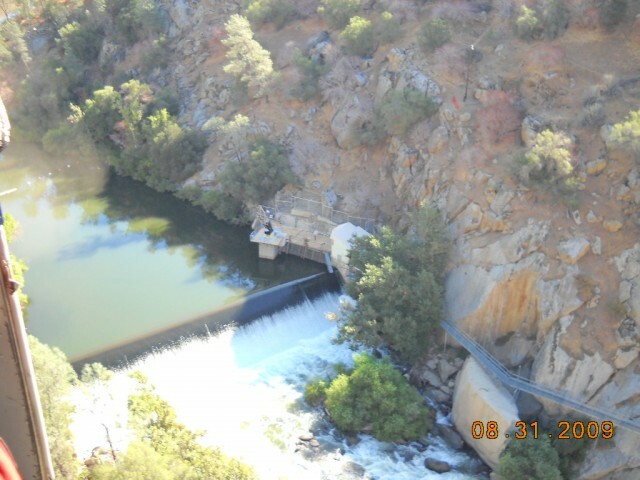 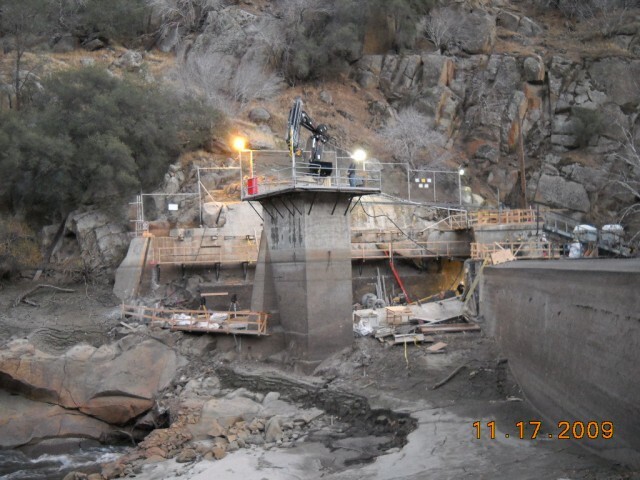 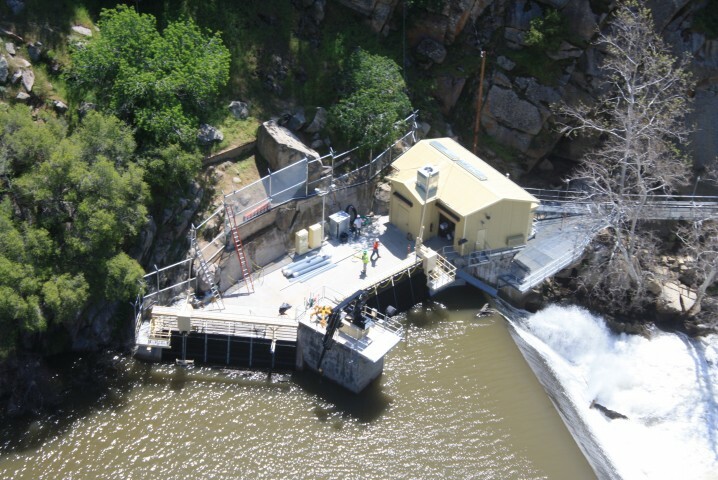 The Kern #1 intake was originally constructed in early 1915 to direct the Kern River to the Powerhouse #1 system. 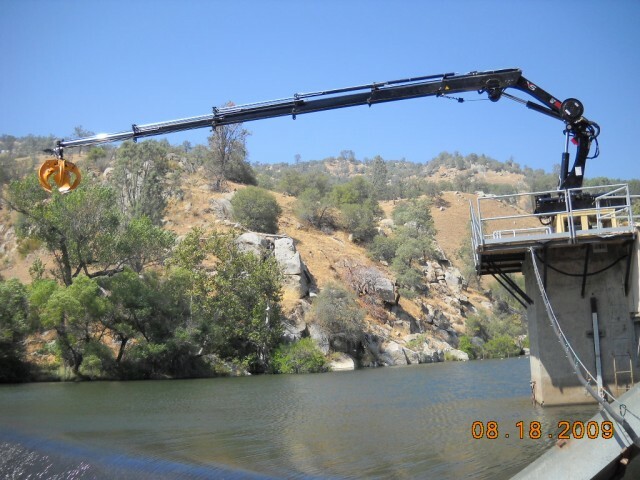 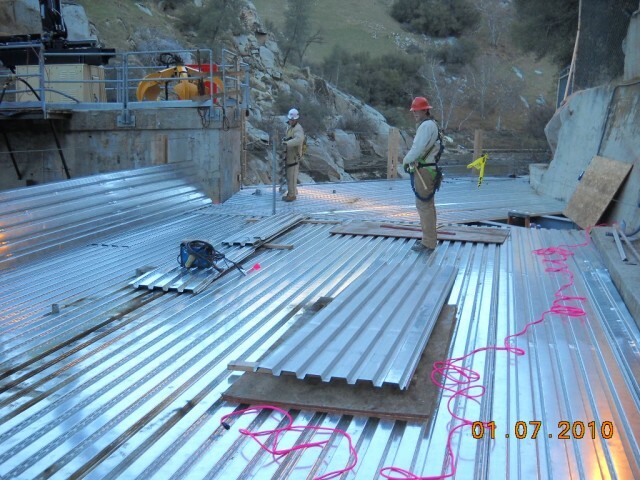 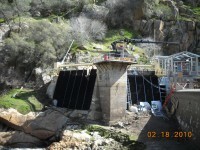 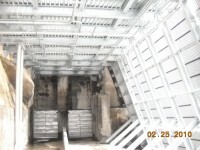 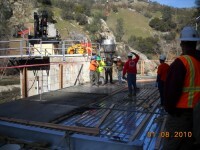 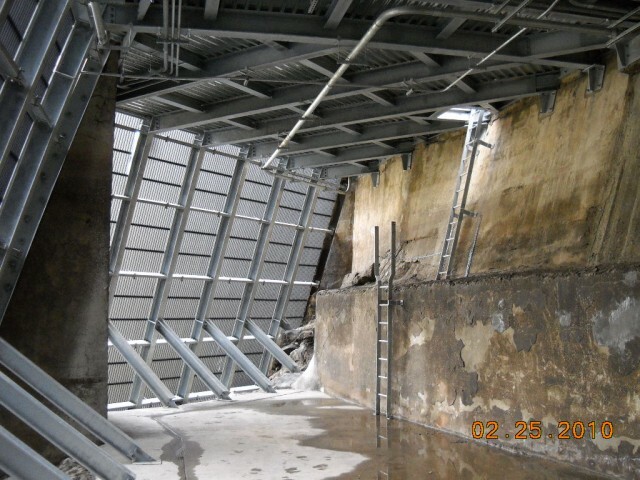 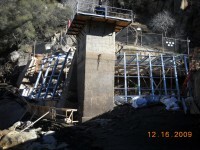 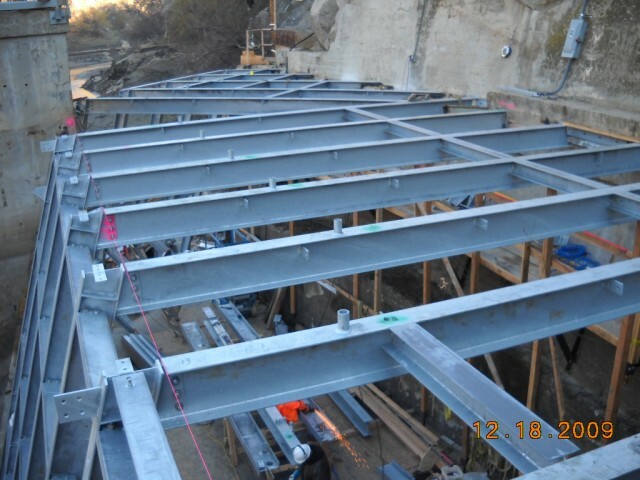 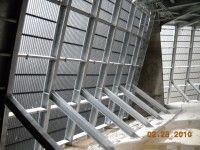 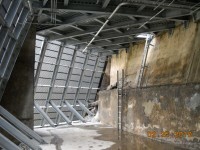 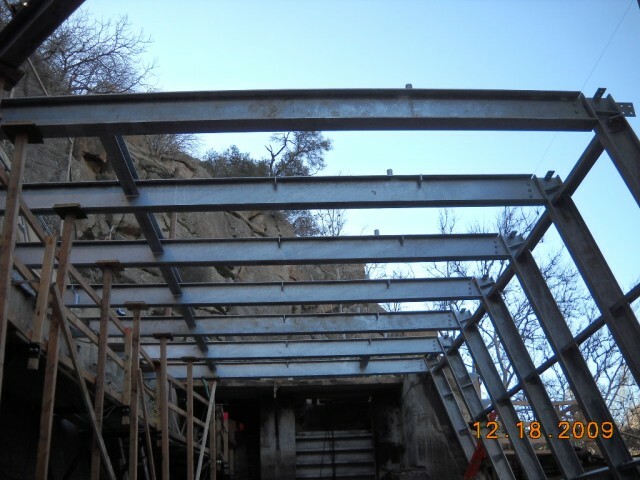 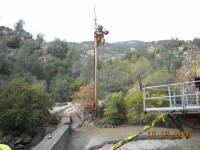 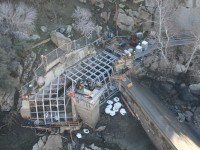 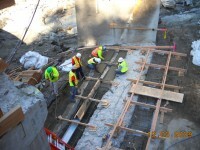 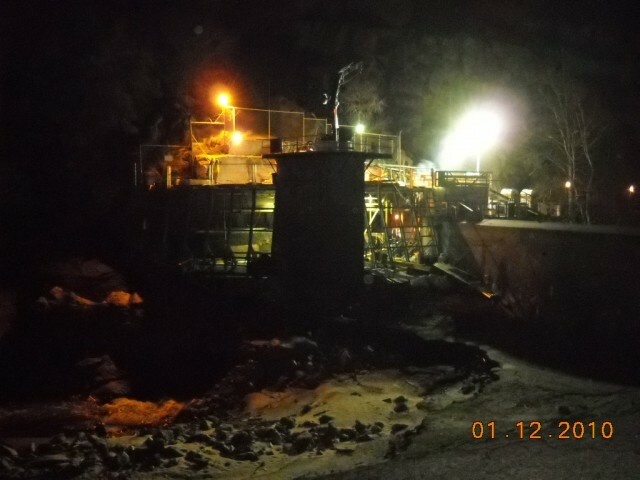 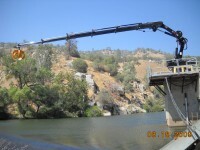 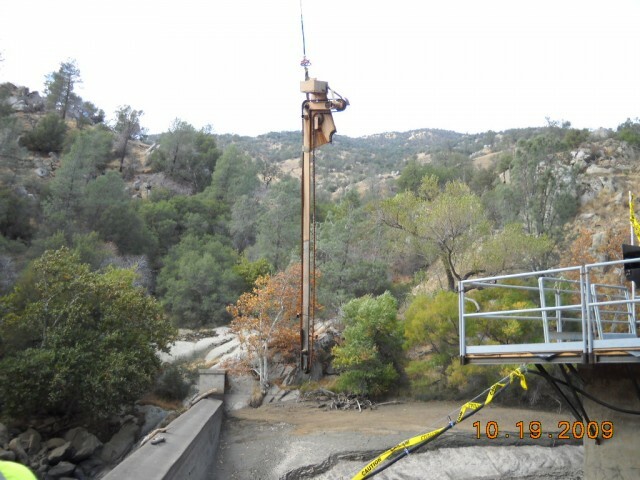 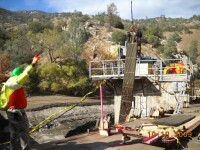 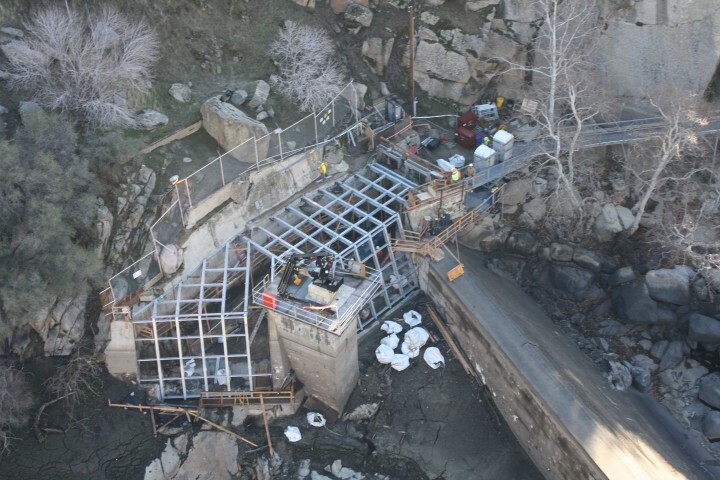 Because the structural members and concrete of the original intake were failing, a complete rebuild of the structure was required, along with automation. 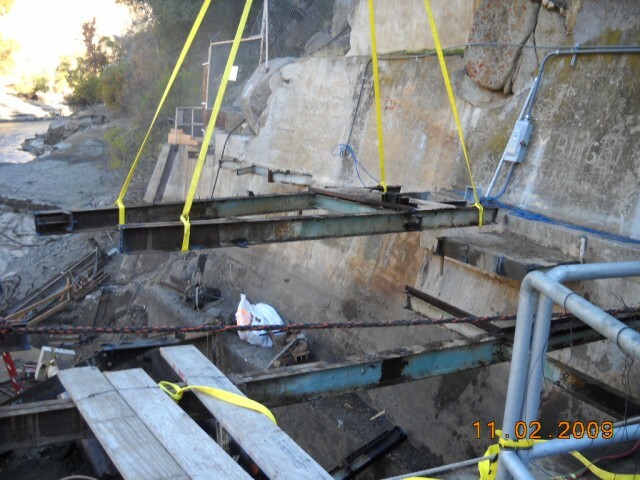 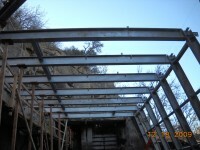 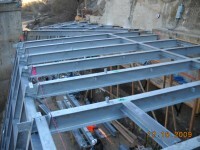 The original structure was removed and rebuilt with new steel members and poured-in-place concrete slab. 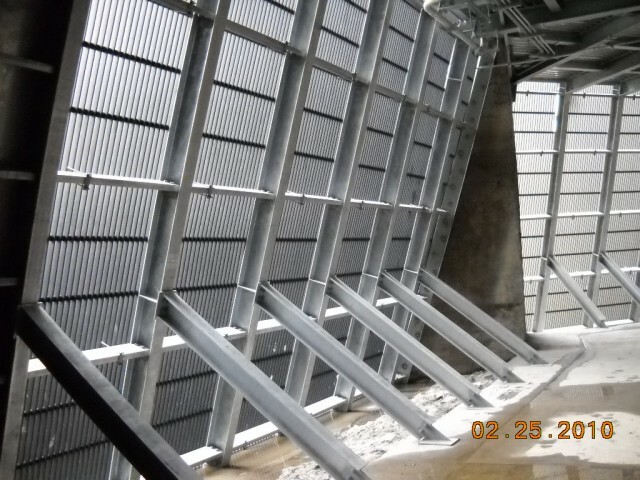 A new control building was constructed to house the new fully automated raking system for intake grates. 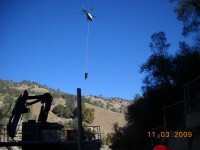 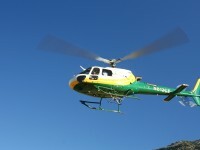 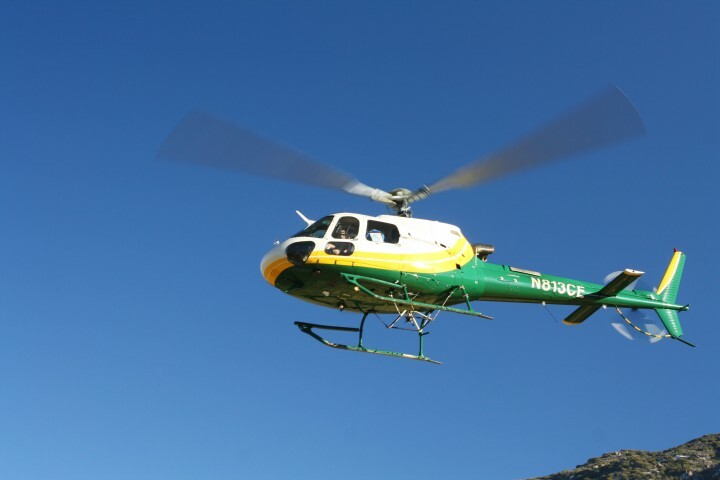 The only access to the site is an existing narrow walkway for foot traffic only, so 2,500 helicopter flights were used to bring equipment and supplies to the site.